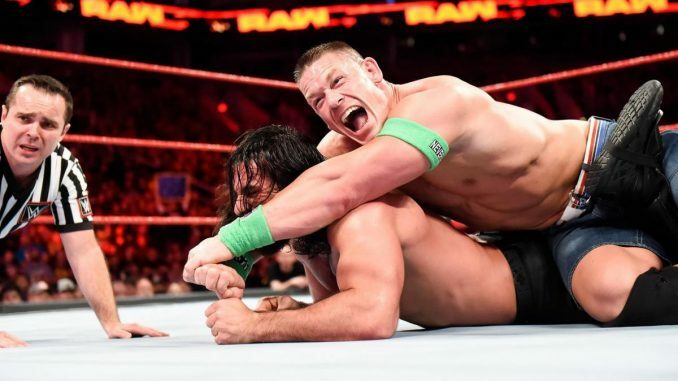 The experiment of presenting a nearly two-hour match on Raw proved to be an effective one with Monday’s episode averaging approximately 3,270,000 viewers on the USA Network. If you consider the Gauntlet Match to be one actual match, then it was the longest match in the history of the WWE at 1 hour and 47 minutes, including Seth Rollins wrestling for more than one-hour. The audience stayed with the match throughout the duration with an average of 3,518,000 viewers in the first hour and 3,509,000 in the second hour. Following the conclusion of the Gauntlet Match, the show dropped a big 20% down to 2,821,000 viewers for the final hour. The overall audience beat out every episode of Raw that went againt NFL football last season and was only lower than the recent Raw 25th Anniversary episode and the following week’s Raw coming off the Royal Rumble. The number is also impressive given the fact that they were up against the Winter Olympics coverage on NBC that did 16,357,000 viewers on Monday night. While you cannot present a match of that length very often and expect the same results, it does send a message that audiences will stick with a long wrestling match and was the most notable experiment seen on WWE programming in a long time.